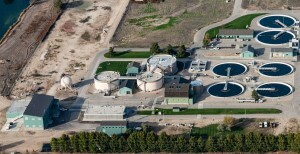 Modify existing aeration basins providing new aeration piping, gates, instrumentation, airflow meters, mixers, and valves; Construct a new mixed liquor recycled pumping station; Modify existing control structure at the Biosolids Storage Lagoon; Modify the existing Disinfection Building into a new Chemical Building; Construct new UV Disinfection Building and Filtration Building; Install Owner-furnished fine screens, washer compactor, and ultraviolet disinfection equipment; Perform all associated yard piping, civil, structural, mechanical, plumbing, electrical and instrumentation work. Construct new 16mgd Integrated Fixed-Film Activated Sludge (IFAS) treatment facility including new aeration basin, turbo blowers with building, secondary clarifier, RAS pump station, backup generator, and site improvements and demolition. Modify the existing RAS, four (4) existing aeration basins, UV disinfection facility, and plant water pump system. Phase I – Construct a 250gpm pilot treatment system (expandable to 2,000 gpm) utilizing a fluidized bed reactor high rate biological reduction process and an ultra-filtration reverse osmosis (UF/RO) pretreatment system to remove selenium to a rate of -0.005mg/L from South Fork Sage Creek and Hoopes Springs. 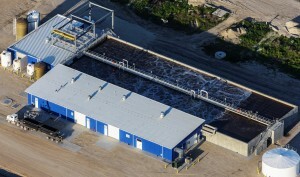 Phase II – Supply, deliver, and install a 2,000-GPM “turnkey” supplied UF/RO Selenium Treatment System. Project includes concrete, mechanical, HVAC, ventilation for Frontier Bioreactors, electrical, and instrumentation and controls. Upgrade (4) sanitary sewer lift station include bypass pumping of each system as the dry and wet wells are replaced with new wells, pumps, mixers and generators. Also includes new sanitary sewer gravity flow lines, force main lines, valves and access vaults. Phase I – Install concrete including building, tanks, footings, walls, slabs, equipment pads, sidewalks, and exterior pads, mechanical process piping and plumbing and supply two metal buildings. 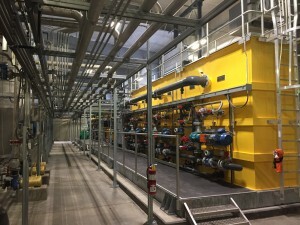 Phase II – Install plumbing, process mechanical equipment, process piping, valves and fittings for the Blancher Surge, Primary Clarifier Scum Overflow, Centrifuge Building and Screen Building Systems. Furnish and install a waste water pump station including a cast-in-place concrete dry/wet well tank built within a 32-ft deep excavation, and an above-ground building with cast-in-place foundation walls and slab-on-grade base to support the precast-panelized walls and roof. 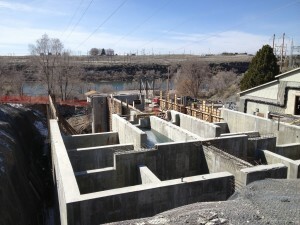 The building includes a pump room with sewage pumps, controls, piping, electrical, and a 23-ft steel stair tower to access the deep pump room. New thickening facility that includes fermentation tanks, polymer preparation, sludge thickening, and sludge pumping. Installation of (4) rotary screen thickener units procured by owner. 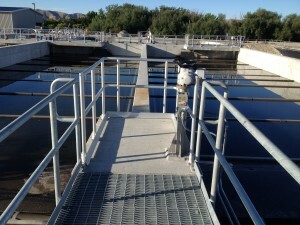 Construct a new waste activated sludge orthophosphate release facility. Convert the existing aeration basins to provide enhanced biological phosphorus removal. Modify the existing ferrous chloride pump. 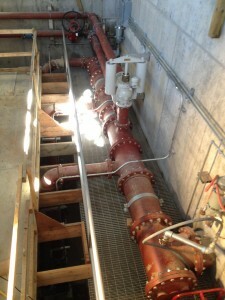 Updgrade the existing primary clarifiers and add a fourth RAS pump to the existing south plant RAS pump station. Replace the existing south plant RAS pipeline and interconnecting the south plant and north plant. Demolish the RBC building, primary and secondary sludge pump stations, primary and secondary clarifiers, trickling filter, sludge drying beds, miscellaneous piping, equipment and ancillary structures. 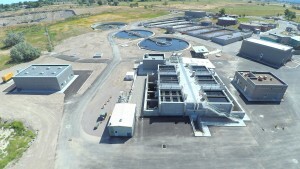 Construct new headworks building, membrane bioreactor building (MBR), process building and basins, and solids handling building. 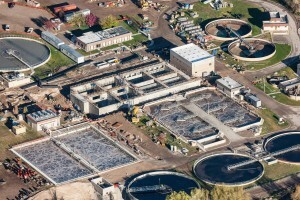 Construct three new concrete aeration basins and clarifiers, two scum skimmers, influent splitter box, effluent weir, and power/controls, install two pre-purchased collector mechanisms and owner supplied aeration piping, clarifier equipment, gates, valves, wiring, and controls. Construct new lined primary lagoon cell and storage lagoons, aeration and UV disinfection building, install aeration and UV disinfection equipment, force main and sanitary sewer main, pivot irrigation system, fencing, mechanical and electrical.